Of course, last night I had to crack open my first Honest Foods bar! So without further ado, I present to you the 1st official Honest Foods Contest Giveaway! This is the first in a series of exciting Honest Foods giveaways! 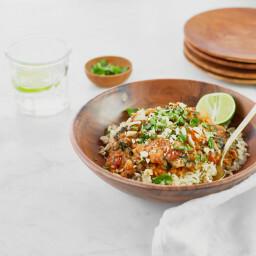 Add www.ohsheglows.com to your Blogroll and mention and link this contest giveaway in one of your posts! 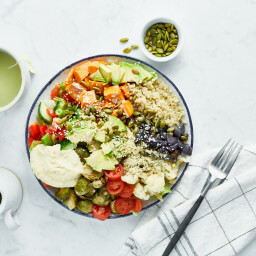 Go to Honest Foods and let me know in the comments below what product is your favourite or what product you most want to try. Email www.ohsheglows.com to 5 people you know and tell them why you think they would like this website. You must copy me ([email protected]) to the email (BCC is fine). Note. Contest idea derived from the fabulous Kelly at Every Gym’s Nightmare. Contest closes: Saturday Jan. 17th, 2009 at 4pm Eastern Standard Time. 3 Choco P’nut Butter bars, 3 Apple Ginger Spice bars, 3 Farmer’s Trail Mix bars, and 3 Cran Lemon Zest bars!!! So exited!!! I really want to try the choc PB or the trail mix bars especially! I also am dying to try their granola planks one of these days! I will add you to my blogroll right now, and mention this contest in my next post! oh cool, I would love to try these! Just posted a link back here! I read through Honest Foods selection and since I am a grilling/hot sauce freak the Lazy Kettle Brand liquid smoke sounds intriguing. It give the smoky favor of a grill even if your cooking indoors. And it’s only $5.00. Where has this brand been all my life? My fave is the apple ginger spice square :) Yum!! You’re on my blogroll, too. i think im one of the only bloggers who has YET to try any honest food products! id love to try the choc. pb or the trail mix! the blueberry bar sounds amazing too! yayy awesome giveaway! i’ve never tried honest foods products but have been drooling over them seeing them in everyones posts! i’ve been dying to try the blueberry vanilla crackle planks! I linked back :) thanks ! Are those bars vegan? Because then I would love to try them! I haven’t tried honest food products either, GC!!! I would love to try the Food Mill Peanut Butter, or any of the 1849 sauces! Thanks for hosting the contest, Angela! I’ve never tried anything by Honest Foods, but have been excited to read your reviews and Kath’s reviews of their products. I really want to try one of their squares crumbled up on oatmeal, I’m guessing the cranberry lemon zest would be my favorite! I’m a little confused by their website though…are all of those products really under the Honest Foods brand? OK, girlfriend! You are already on my blogroll and I will be telling all my readers about this fabulous contest in today’s post with a link to your site! I’ve tried the bars and they ROCK! 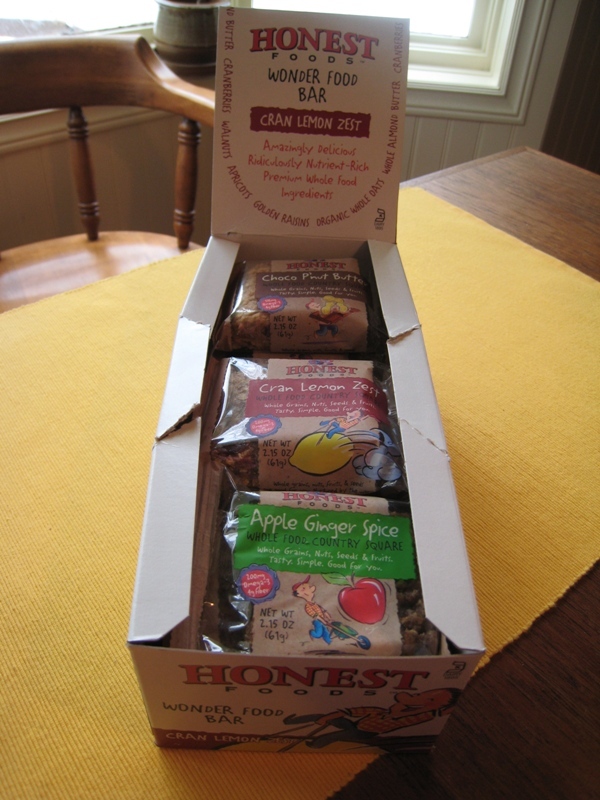 I’d LOVE to try the Honest Foods granola planks…..any flavour would do! Hey Angela! So, I added you to my blogroll – you’re actually the first one to be added! I linked to the contest in my second official post! I’m sure you probably won’t see much traffic from it considering the blog was just officially born today, but hey, you never know! I’ve never tried anything from honest foods but I would most like to try the “Food Mill’s All Natural Hand Made Peanut Butter”. Can you imagine??? Sounds like heaven to me! 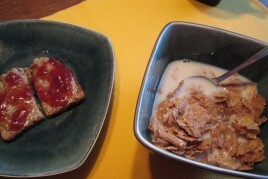 I LOVE the blueberry vanilla crackle on top of my oatmeal, but I would really love to try the Country Squares! Thank you so much for being so dedicated to the blog and for being such an inspiration! You rock! Hey girl! Great giveaway! I’ll be linking back on tonights post, and of course you are already on my blog roll! These country squares are delish btw, I tried one a few months ago! Wish they had a whole foods near me ggrrrr! My brand new blog is now sporting your contest :) How fabulous :) If cliff bar is an honest foods brand i’ve been dying to try one, but don’t know which flavor is the best (need to snoop around some more blogs and find out!!) If not, the peanut butter looks fantastic, I mean obviously :) Thanks for the ‘chance’! 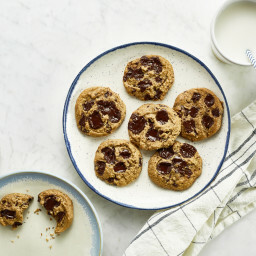 Oh these look really good! Honestly, I wouldn’t mind trying them all! The Honnest Food products are not available here, but I’d love to try the Country Square Choc n PB. Or those planks that Kath is always putting on her oatmeal! Lol. I have never tried Honest Foods but would love to try the country squares! Thanks for the contest! I also added you to my blogroll! My daughter would love these! Great giveaway – I’ll give you a shout out in my dinner post. I’ve never tried these, but they look delish! 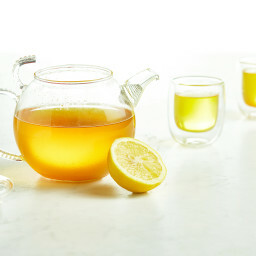 Cran Lemon Zest is right up my alley! hey! i added you to my blogroll and linked back to this post. 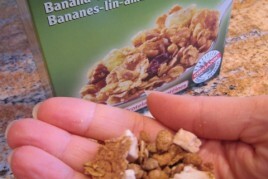 i love the honest foods maple almond granola planks…i havent tried the country squares yet but they sound great! I’m sending out the 5 emails now!! And i’d like to try the choco pb bars..mm like a healthy recees! My favorite bar (the only one I’ve tried) is the Farmer’s Trail Mix-perfect oat topping :-)! thanks for not discriminating. honest foods is impossible to find in canada! i think i’d probably be most interested in the granola planks. Wow, that is is so cool! I really want to try one of those planks. The maple almond one sounds so good! i have linked you appropriately. and the chocolate peanut bars and blueberry vanilla granola sound amazing. Great contest! I would like to try the Cran Lemon Zest Country Squares. Also, do we need to notify you when we link to the contest? I would like ANY of the products, but especially the granola planks … I have yet to crumble some in my oatmeal and I would like to! oh! i totally forgot to ask. did you add that piano music as a track on your video or was that actual playing in your house? Im curious what the sports med Doc said. How are you feeling? I’ve never had a sports related injury but I had a food related injury if you can believe that. Count me in, too! I’m blogrolling you and linking to you as we speak :-). I’ve never tried Honest Foods, and I love love love giveaways (thanks to the negative grad school income)! ooh, fun fun! you’re on my blogroll, and i just added a link to my next post (friday). Of course you have already been rolled(is that good?) on my blog and a put a good word in for you too(wink,wink). i’ve tried their product only once but I seriously loved it! I’ve been dying to try the granola planks! But that chocolate PB bar looks even better! The chocolate peanut butter planks look awesome, I would love to try those! Feel better Ang! choc pb bar! looks sooo good and what a great addition to oatmeal! adding you to my blogroll. I love love love blueberry planks soooooooo YUM! I am in love with the blueberry planks. So freaking good. I’ve never tried any honest foods products, but they all look good (esp the choco p’nut butter bars)! I cannot find these ANYWHERE!!!! I have been waiting to try them. Definitely adding your site to my blogroll – I love that you mix in fashion with everything else, too! added to my blogroll :) and mentioned you and added a link to my post today. so nice of you to do this!! I love the blueberry planks, but those are the only product I have tried. I haven’t tried any Honest Foods products, but they all look delicious (and the blogging world certainly enjoys them)! I would most like to try the Cran Lemon Zest Country Square and the Maple Almond Crunch Granola Planks. I’ve only had the Trail Mix and it was wonderful. It’s the only one available at my local store and I would love to try the other flavors. I would love to try any of the products but especially the squares and planks!!! I really want to try the country squares! The cran lemon zest, apple ginger spice, and choco p’nut butter sound yummy! I’ve also been wanting to try the granola planks ever since I’ve seen them on all the blogs! I’d love to try the Granola Planks – Pomegranate Walnut Crisps. So exciting! I’ve been wanting to try these for a while… I love the granola planks and the country squares! Hi – I am a new reader and plan to enter your contest! Random question – what is that piano music playing in the background? It is BEAUTIFUL. I would love to download it if you could please, please please pass along the name of what it is! Thank you so much! Oh, and your blog is great – you are adorable! I am most interested in trying the Farmer’s trail mix. Sounds like it would be awesome on top of oatmeal. I’ve NEVER had any honest food products, but did someone say trail mix?? Yup, that’s got to be the one I most want to try. I’ll be adding you to my blog roll on my afternoon post! Love your site and the golden globes recap is great since I missed the real deal! i would love to win these! i have been dying to try them! I just sent a link of ur amazing website and the reasons why they’ll enjoy reading it on a daily basis! the message were sent to 59 friends mostly in the US. my favourites would be the Country Square Cran Lemon Zest and the Granola Plank-Maple Almond Crunch. Yummeee. Never tried a Honest Foods product before so am reaaaaaaaly excited abt it! I’ve never heard of those products, but they look great! I will be adding you to my blog roll today! I would definitely love to try the choco p’nut butter square! Ooo their food looks good! 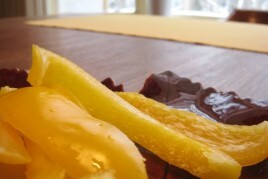 I’d love to try the Country Squares Single Flavor Trays – Cran Lemon Zest, looks delish! I LOVE the Maple granola planks. So good with yogurt! Oooh, it’s a tough decision, but I think I’m most excited to try the Cran Lemon Zest flavour. I think those two fruits would be a killer combination together. I’m going to send out the email now! these are actually my favorite bars! no kidding! I’ve never tried these before, but the Apple ginger sounds amazing! Hi Angela! I am so excited about this giveaway because I am in the UK and we never get to be part of the contests! You’ve been on my blogroll for a while ;) Hmmm let’s see–I really want to try the Choco P’Nut Butter square. It just seems like a sneaky way to satisfy a sweet tooth while still being healthy. I haven’t tried any of their products since I am not at home in the US, but I am dying to do so!! P.S. I’m linking to you in tonight’s post! wow alot of comments! I would love, love to try the choc pb bars- best pairing in the universe which i’ve yet to ever have!! Well your already on mu blogroll;) and I will post on blog tomorrow for sure! I have never tried any of these products so I am incredibly excited to possibly have the opportunity!!!! Not gonna lie- anything chocolate and peanut butter is going to catch my eye, but that cranberry lemon bar is sounding pretty interesting too. Yum! I have not tried any of the honest food products yet. I would love to try the cran lemon zest bar, it sounds super yummy! 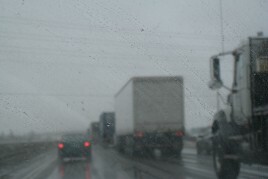 Thanks as always for the blog!! Choco P’nut Butter! Sounds so yummy! I’m dying to try these. Great contest! I added you to my blogroll and linked back to the contest post! 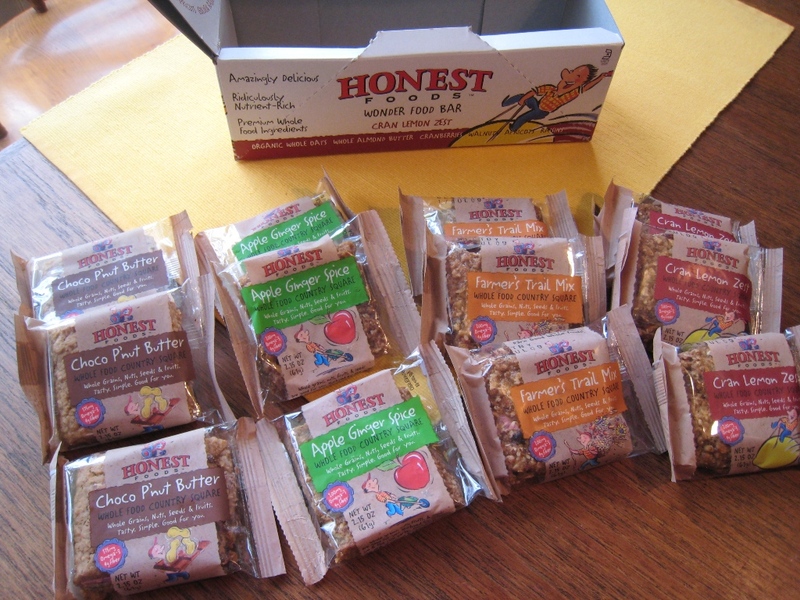 The Honest Foods bars look amazing, I love wholesome, hearty, whole grain foods and snacks. I most want to try the Farmer’s Trail Mix Country Squares… i love the variety of ingredients in there (sesame seeds, walnuts, raisins, dried cranberry, etc)! i love granola, so i definitely want to try the maple granola! Hi Angela! I think your site is great. I have not tried these yet – but they look delicious. I most want to try the Choco P’Nut Square. I hope you are feeling better. I would love to try the Choco P’nut Butter bars! I can’t seem to find Honest Foods where I live and would love to try them before ordering a case online! Thanks! We don’t have Honest Foods in Seattle. I have never even seen the label/company before. Great to find new resources! The Country Squares look so good! You were already on my blogroll but I’ve just posted & linked to this entry. I’d love to try their Farmer’s Trail Mix Country square. Sounds tasty! Choco P’Nut Country Squares are for me!!! Have you tried it? I would love to try Choc/PB and trail mix! Yum! I’m going to add you to my blogroll now…. I would LOOOOOOOOVE to win these! I don’t have a blog roll, but would def add you if I knew how! ALL the Honest Food items sound good!